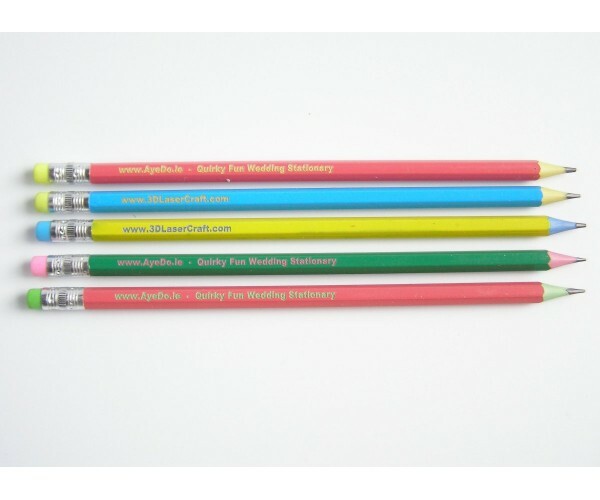 Mixed colour wood pencils still a conventional lead HB pencil but the wood is also dyed which makes them ideal for laser engraving as the dyed wood colour shows through. 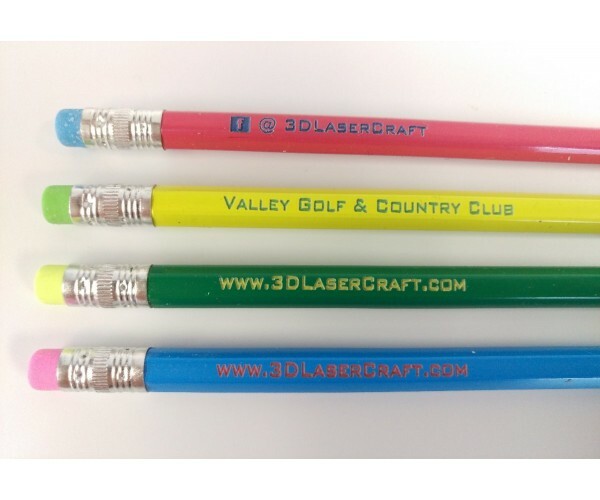 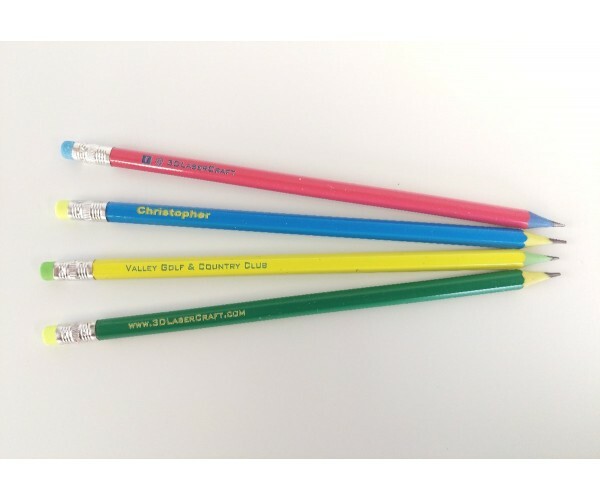 These come in a pack of twelve, a mix of colours both externally and internally, once engraved with your text, look really good and totally different from normal pencils. 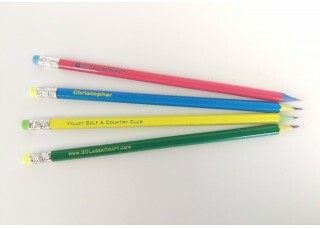 Use for personal names, businesses, weddings, promotional items, party bags, etc.